Added on February 25, 2014 by lili schaap. I was lying down in my bed few mornings ago and watching our large 30 feet willow tree through my bedroom window and enjoying this beautiful tree and the snow falls the same time, I was thinking “What happened to our wonderful weather we had, and will spring ever show up! “. So my inspiration came from spring and winter as mix of white color flowers for snow and purple color flowers for spring! 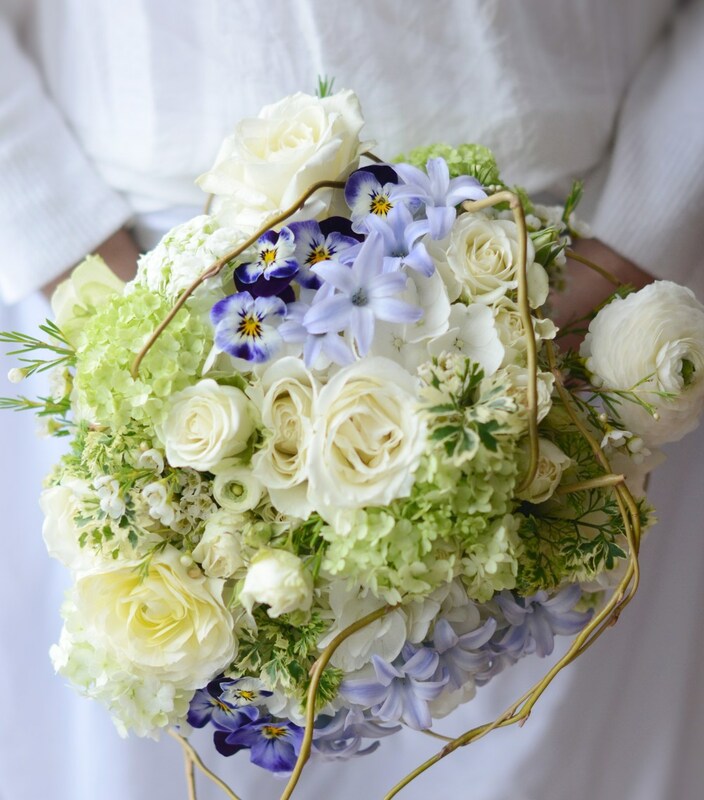 A wedding bouquet with white hydrangea, green Annabelle, white wax flowers, ranunculus, white roses, white spray roses, purple pansy, Hyacinth and willow branch.